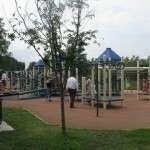 Dorbrook Recreation Area in Colts Neck is a popular site for a supersized playdate in the summer. Located on Rt. 537, Colts Neck NJ (cross street nearby is Hockhockson Road), Dorbrook Recreation Area is very busy. Too bad my timing for this park is at the end of the summer, this is a great one in the hot weather. This is a wonderful playground and sprayground. Because it is so expansive, this is extremely popular and crowded. My kids were entertained for hours, they loved it. 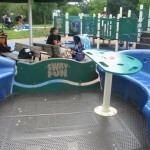 There was a cool sway thing that you can sit in and someone can sway it by moving their body weight. The water table was a big hit, bring your buckets! Also the sand area was alot of fun since there were movable chutes and diggers. 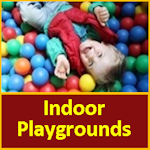 Also it is a “boundless” playground so it is handicap accessible. Here are some pictures so you can judge for yourself. 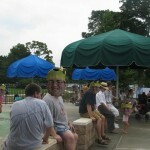 7/23/09 UPDATE- There are so many blogs out there on everything, but my eye is always looking for local NJ moms talking about local NJ, Mirabest has a great one, and a great post on Dorbrook park. Thanks Vinny, for letting me use your headshot for anonymizing purposes! LOVE LOVE LOVE this place and we have only been there once. The spraygound is teriffic. 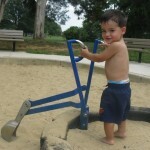 Has stuff for big and little kids including a big water table. 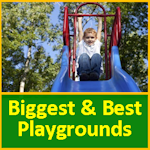 They playground is massive and had so much for the kids to do. It even has a big sand box. The only downside (and I could be wrong) there is no place to change out of your bathing suit. There are bathroom which is where I changed but it wasn’t very nice. We will go back when we are in the area again. We went July 14, 2009, and the staff said it was the busiest day they’d seen. Even so the sprayground and playground were not TOO crowded, no rowdy kids shoving or hogging equipment. I agree with rsquared, there is no good place to change. We also used the (3-stall) bathroom. Many, many people had brought picnics, but there was still room to sit under the trees. I wish I’d had a bucket or two. My 10 year old didn’t need one, but my 2-year old was very unhappy until someone gave her a plastic cup. This park facility and plyaground is phenomenal!! I went with my 2yr and 6mo sons and had a blast. 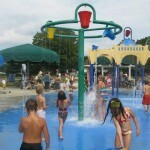 The water park is perfect for cooling off on a hot day and the playground is well rounded for older and younger children. 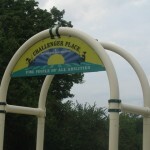 I hope that the county maintains this wonderful park and continues to offer the services free of charge. we are going back at least 1 day every week until it closes. On July 17th,at around 1:45 PM, my four year old daughter tried to wander out of the area. Two attendants, two dead eyed teenage guys working at the front gate, were playing with their cell phones or something. They were laying across the benches and looking down. I dragged my daughter back into the area crying and asked the attendants for a favor. I said that if someone who is “official” could tell her to don’t wandering away, she might get it. They smirked and each in turn sarcastically said, “Don’t wander away” in the same tone I said it. Very sarcastic. They then stared into space away from me. A few minutes later, I saw another young child wander out with a frantic parent chasing him. The two “attendants” never noticed again. They were still lying on the benches and looking down. Do NOT expect any type of quality attendant here. You are really on your own. The park would be better off saving the money and not having any attendants. The two bored teenagers with attitudes were useless. I drove there from North Jersey and was not disappointed. My kids had a great time. Very clean facility. They really enjoyed both the sprayground as well as playground..too bad they got hungry and there is no close by facility to get a snack, not that I could find anyway. I’ve been going to Dorbrook Park for years and the Sprayground was the area’s best kept secret until about last year, lol. My 3 year old and 5 year old love it. 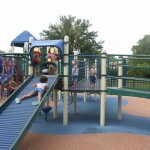 It is maintained very well and the entire park is geared towards children of all ages. They have great ameneties for adults too. It is a great place for families who love to bike ride or stroll together (paved walking/biking paths. There are no changing rooms but many just show up in their bathing suits and then sun themselves dry (great time for lunch) before playing in the playground without changing. Or you can use the bathrooms as noted above. 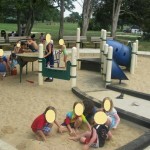 Re the attendants at the Sprayground: It is not their responsibility to watch your kids. They are there to maintain the waterworks and close up shop when it is time to close the sprayground (about an hour before the playground closes). Often they will be playing ball in front of the sprayground. YOU NEED TO WATCH YOUR OWN KIDS just like you would anywhere else and not shift any of that responsibility to anyone else. This is a FREE park to all Monmouth County residents (and really beyond since folks come from all over NJ – even NY and no one checks any ID).Parking is also free. This park is close to the Eastmont Orchards where you can pick your own fruit on Rt537 a few minutes down from the park’s entrance. Great park to spend the entire day. Soccer fields, basket ball courts, hockey rink, grassy fields, two different age-group playgrounds (for kids with all ranges of abilities and accessibility needs), sprayground with two age-group areas as well, trails, tennis courts, (swimming pool for swim lessons/camp only), quite a few benches and some picnic tables but brink a sheet or blanket as a back-up. Large enough to not be crowded even when their is a large turn out. so informative! thanks for the tips, I think w will be going in the fall too, and do some pumpkin picking, we’ll be looking into Eastmont Orchards. 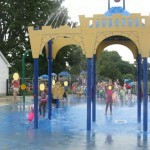 We love this playground and spray park! 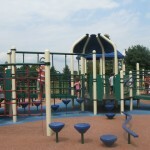 We live in northern central jersey, but we are more than willing to take the ride to south jersey for this playground. The recreational area is nestled among beautiful horse farms so the scenery can’t be beat. Pack some lunch and enjoy the whole day there. When we go we stay until they close which is 7 or 8 pm I believe. 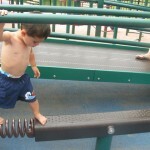 It is the the closest barrier free playground/spray park to us and it is free,clean and just awesome! My partner is in a wheelchair and he can actually go and play with our daughter which he has never been able to do with traditional playgrounds. 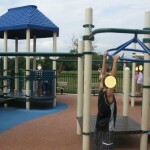 The play area is compressed rubber so wheeling is super easy,and its flat. We were impressed with the little details like the chess tables having a space for a wheelchair! The spray park is also accessible for wheelchairs, there are wide paths that run through the park, parking is plentiful, new picnic tables and tons of trees to provide shade. Parents/grandparents with mobility issues need not worry, this is the park for you..you’ll love it and so will your kids! I will post pictures soon! Dorbrook is a great park. Don’t forget that Route 34 is a little over a mile away and there is a strip mall at the corner of Rt. 34 and Rt 537 where you can purchase pizza, pasta, bagels and pancakes and more. The sad part is that people have to drive from all of this state to go to this park! 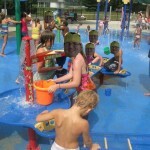 There should be a spray park in every County. 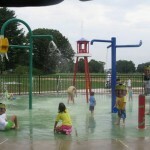 While we welcome everyone to our wonderful spray park here in Monmouth County, we want you to know that many of us find it difficult to use the facility because it is so crowded. Please write to your County officials and Parks and Recreation Politicians in your County to ask for a nice park like Dorbrook Park. In the meantime, we welcome the opportunity to meet you at Dorbrook. hey tina, the attendants are there to take care of the equipment and maintain the area. it’s your job to watch and discipline your kids. so sorry if a free water park doesn’t provide babysitting. my tax dollars afford you the privilege of enjoying our facilities and i’m not quite sure why. I LOVE this park…only a ten minute commute! and yes it is a local treasure! 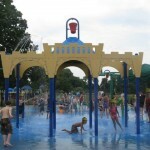 the sprayground is an awesome alternative to swimming, the playground and sandbox are massive and very clean! the entire GIANT perimeter is paved and is perfect when we are in need of a nice bike ride with the dog. We always pack a nice lunch as there is plenty of space to sprawl out and picnic! We are so lucky to have such a wonderful park for our families. We just visited the park today since we are new to the area and we have heard so many good things about it. Wonderful! The children loved it.Very hard to find a parking spot though. I had to drive around and wait for someone to leave. It was very crowded on the spray area but still the children had lots of fun. For a picnic is wonderful. Lots of beautiful green areas. We only went for a couple of hours to check it out. It was really nice and we enjoyed it very much! If you’re tired of “really being on your own” maybe you should petition the town to redirect funding from this park to beef up its child services program. These attendants aren’t there to babysit your kids while you take in the sun and gossip with other moms. Get with it. I see that you wrote this in 2009. Your kid is probably on the side of a milk carton by now. Just wondering if this park is still open sounds so good. Yes it is still open. I just went there yesterday for the first time and it was great. It is very clean there and I like how the one park for the little kids is big enough for them to play and explore while not being too big where you cannot see them wherever they run around to. I went there today. My kids enjoyed a lot. I am planning to take 15 friend families tomorrow. A Beautiful, Nice and Clean Park for FREE!! Decided to take my grandson there today and I am sure glad I did. He had a wonderful time. The park is beautiful between the spray area and the playground he didn’t know what to do first. Had and had a lovely picnic. 100% worth the ride planing on another visit with my grand-daughter and grandson. Meant to say Had a lovely picnic. So tired after a fun filled day. Told a dozen people about this place. Is the sprayground up and operational for the season yet?